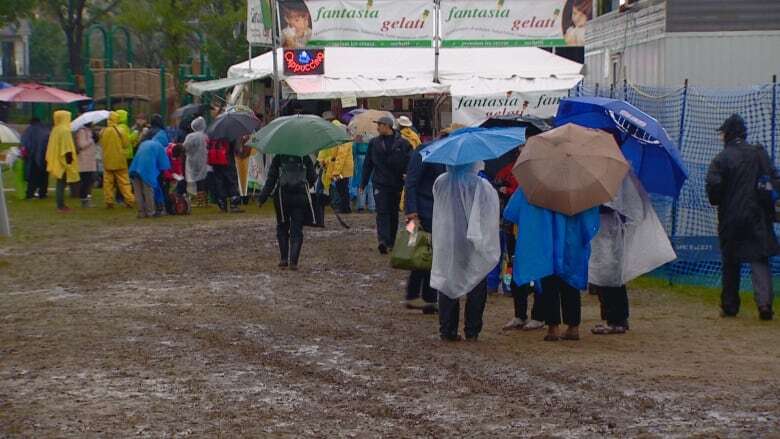 Another Edmonton Folk Music Festival has come and gone, this time with wacky weather and lower attendance than usual. 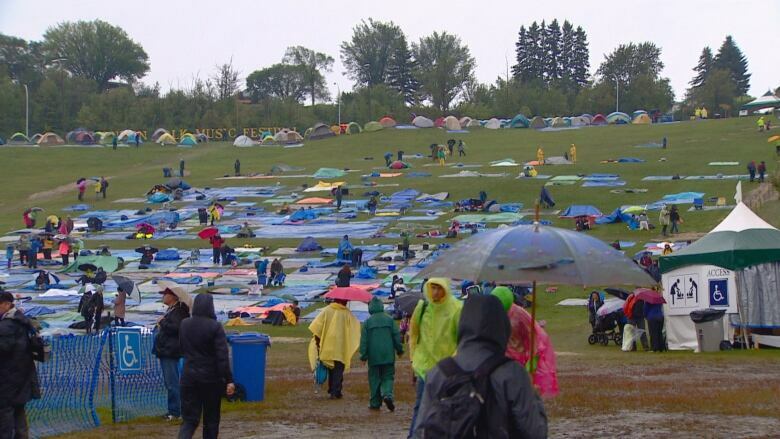 Festival goers dealt with wildfire smoke and sweltering temperatures on Thursday and Friday, later to be replaced by chilling rain on Saturday evening and Sunday. Festival producer Terry Wickham said they’ve dealt with unpleasant weather for the past few years but he thinks it’s getting worse over time. Elizabeth Pattengale attended the festival at Gallagher Park for the first time this year, travelling from California to watch her son, Kenneth Pattengale of the Milk Carton Kids, perform on Sunday. 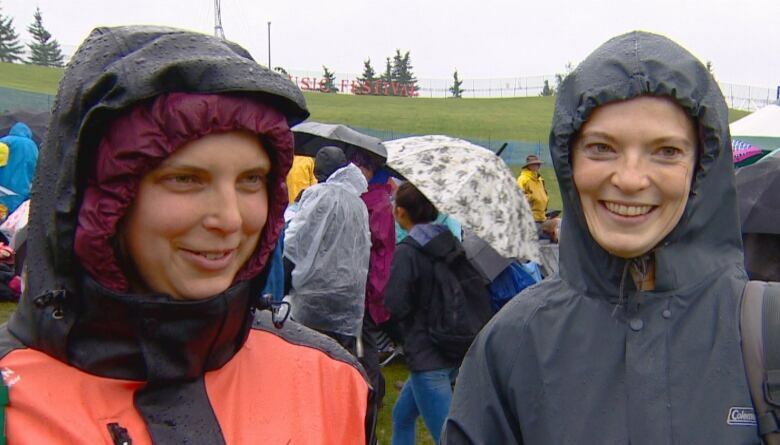 Folk fest veteran Natalia Klawitter said breathing in the smoke was uncomfortable. Her sister, Agnieszka Klawitter, has attended the festival for eight of the past 10 years. The pair said the music and family-friendly atmosphere are what keeps them coming back, rain or shine. Sunday’s rainy weather didn’t help with attendance, with smaller crowds than usual on the last day of the event. Wickham said beer sales likely took a hit and fewer music fans bought tickets at the gate. Overall, attendance dropped by about 15 per cent this year, he said. But while fewer people came out, those who did were willing to pay more for a single-day pass. “Saturday, there were no tickets available. So what we’re finding is on the Thursday and Friday, our sales are going down but on the weekend they’re still very strong,” Wickham said. Wickham thinks attendance declined due to the cost of living and because some people couldn’t commit to attending a four-day festival. At least one thing will be different at next year’s festival: marijuana will be legal. Wickham said several other festivals will have to deal with legalization as well, and he’ll keep an eye on them to see how they handle it. He’s sure about one thing, though — Folk Fest won’t sell pot. People will be allowed to smoke at the festival, however. Wickham said it’s likely there will be two types of smoking areas — one for cigarettes and one for marijuana.